I frequently lust after the parties I see on some of my favorite party planning blogs, like Hostess with the Mostess and Pizzazzerie. The parties are amazing, the details are creative, the photos are beautiful, and the people appear to be having the time of their lives. While I would love to host parties that are featured in blogs and magazines, I consistently run into a few “minor” details… such as budget and available free time. While I enjoy planning parties, making decorations, and baking cakes, these are just a few hobbies that compete for my ever dwindling free time and funds. I am on a mission to create the perfect party plan that maximizes a few quality decorations, stays within a reasonable budget, and sets the stage for fabulous fun! Dress: I found this fabulous black and white Elmo chevron dress, by Valentina’s Place, on Etsy. 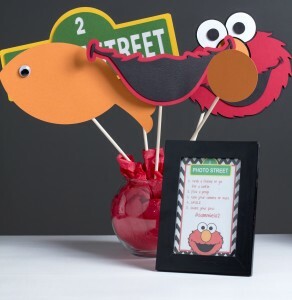 I loved the look of the black and white chevron contrasting with red Elmo and used this look throughout the invitation and party decorations. Invitation: I would love to learn to play with Photoshop or Illustrator to create fantastic invitations and amp up my party decorations, but I am definitely not ready to commit to another hobby! 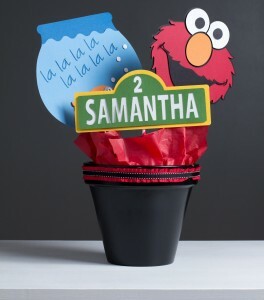 I created a simple Elmo birthday invitation by layering and filling different shapes in Microsoft Word. If you are not familiar with this process, Just a Girl and Her Blog has a great simple tutorial on making labels that outlines this process. Decorations: It was exciting to host our first party in our new house! I am still trying to figure out the best way to decorate our new space, so I stuck with the standard birthday banner, centerpieces and balloons. 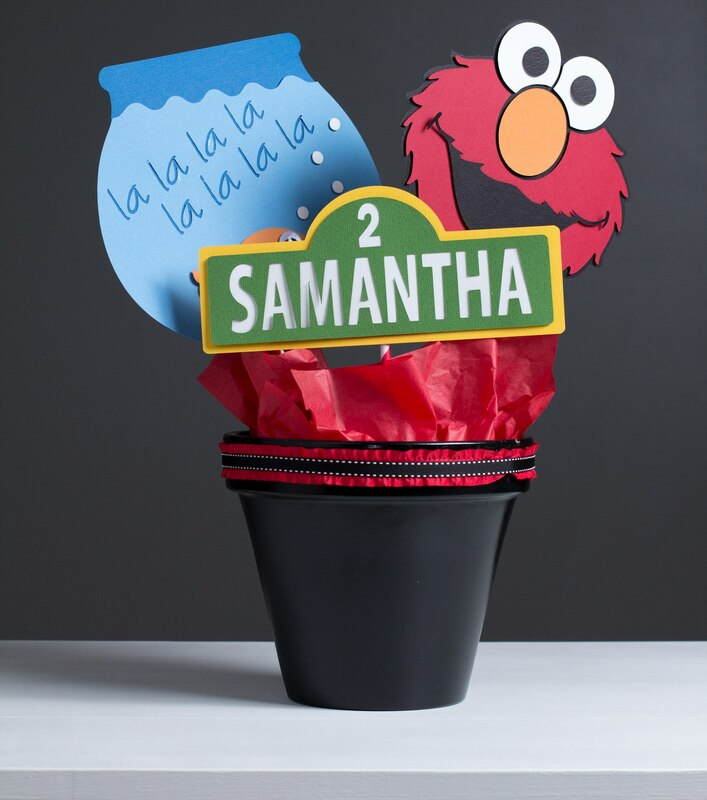 I used my Silhouette Cameo to create the party decorations and used the trace function of the Silhouette Studio software to create an Elmo design. I used the cake as a decoration, as well as the photo props and favor bags (which I completely forgot to handout). I also created a table with Elmo coloring pages and crayons, which looked festive and provided a fun activity for the kids (okay, really all the guests). 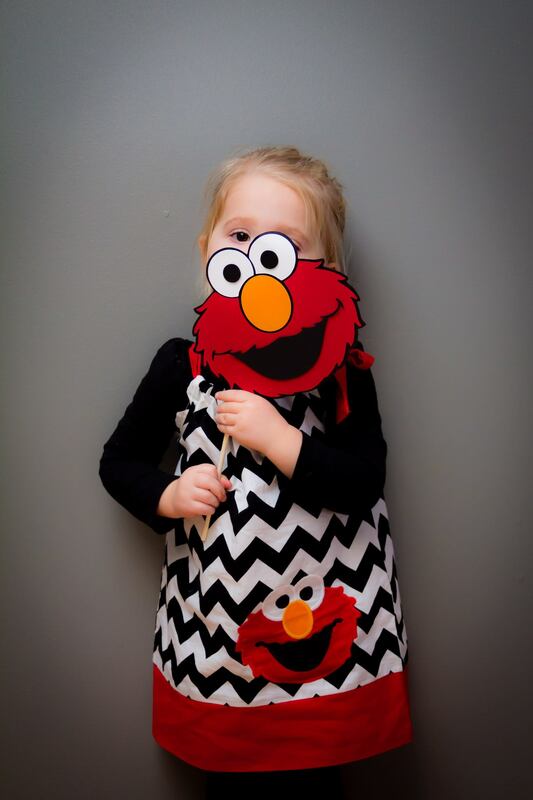 Cake: I wanted to stick with the red, white and black Elmo theme for the cake. I am learning to simplify my cake designs and used the same Elmo cutout to create a stencil for my fondant. While I would have loved to make the backdrop of this cake black and white chevron, I decided to simplify with the black dots. 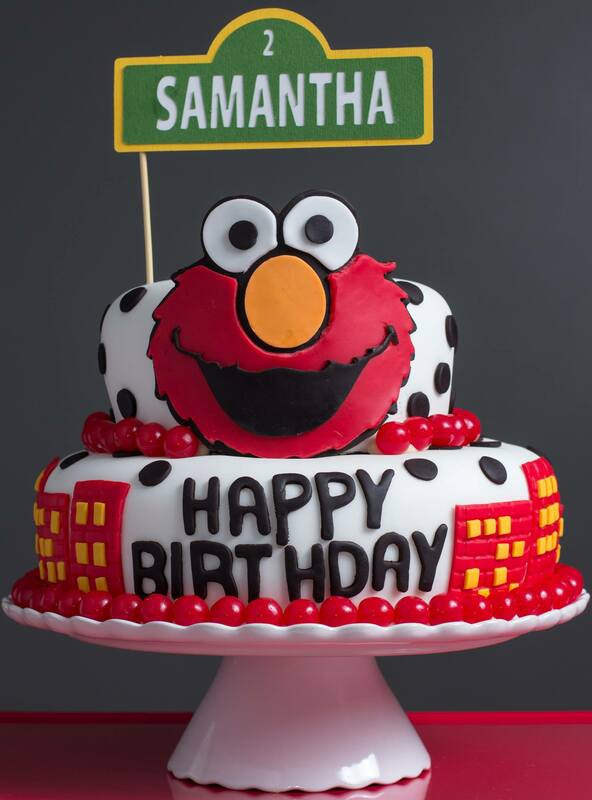 I also simplified by using a paper “Samantha” sign to top the cake, instead of creating a sign out of gum paste. Photo Props: After I finished the birthday banner and the centerpieces, I discovered extra cutouts and extra paper, so I thought it would be fun to create some photo props. 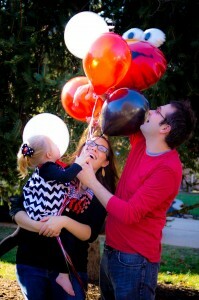 Turns out the photo props were a fantastic idea – Samantha, in particular, loved the props! We used an empty wall to capture great photos of our friends and family. The photo props will definitely now be on the list for all future party plans. Confession of a *wannabe* party planner… I created my own pin the nose on Elmo game and fun make-your-own-Elmo-ornament favor bags… both of which I completely forgot the day of the party! D’oh.